The event will be held Thursday, February 21, 2019 from 6:00-8:00 PM in the Auditorium at the district office located at 1701 Mountain Industrial Blvd. Stone Mountain, GA 30083. Participating in the festival will be the combined classes from 14 High Schools and 1 Middle School’s Audiovisual and Film Programs from the DeKalb County School District. The classes will submit film projects in three categories of films (Beginner, Intermediate, and Advanced). NATAS SE will address the audience and play a short promotional video at the 2019 Student Film Fest in DeKalb County. The winners of the DeKalb Student Film Fest will be invited to attend the Student Production Awards at SCADShow in June, where they will be recognized on stage. They also have an opportunity to share a video about their festival with the audience of 300+ at SCADShow. NATAS SE will provide some complimentary memberships to our organization for DeKalb County students. All entries fees for the 2019 Student Production Awards are waived for winners of the DeKalb Student Film Fest. Two promising students can be featured on stage at the Emmy Awards as “Statuette Bearers” who hand over the awards to recipients and witness “Emmy magic” up close and in the spotlight. The judges have worked on several award winning and popular projects, i.e., The Walking Dead, Black Lightning, Black Panther, Halt & Catch Fire, Meet the Browns, and Baby Driver. We are really excited about our progress on engaging our School District and how aggressively they have pushed forward with all of our recommendations. We could not have made this much progress in such a short period of time without your support, so please join us and feel free to share the attached promotional items with your contacts. 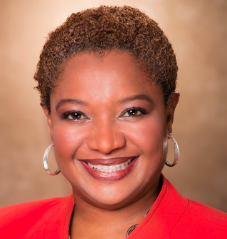 The DeKalb School District Executive Team is expected to attend including Dr. Green, Superintendent, and all School Board Members along with members of the DeKalb Entertainment Commission.